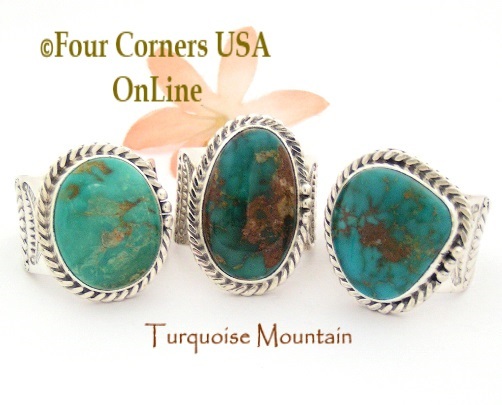 Our Native American Ring Collection offers a truly stunning selection of One of a Kind handcrafted rings for both Men and Women. 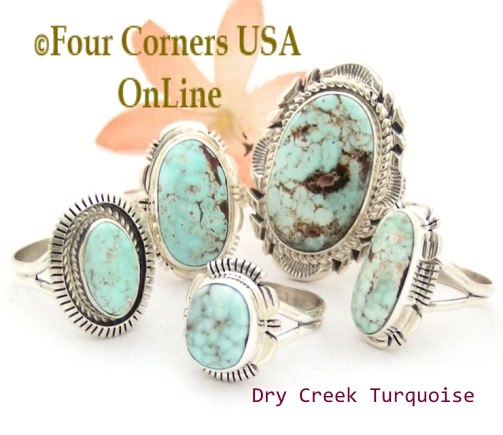 You can shop our Ring Collection by Size Number, by specialty Stones such as Dry Creek Turquoise, White Buffalo Turquoise, a variety of American Turquoise Mines, Men's Styles or Women's Styles (although admittedly there is likely some crossover. Many even most could be considered Unisex as the beauty is in the 'eyes of the beholder'! If you are uncertain of your current Ring Size, our Jewelry Measurement Guide will assist you. Even if you think you know your size from a previous purchase a year or two ago, it is still a good idea to double check and the best result is getting sized by a local jeweler. 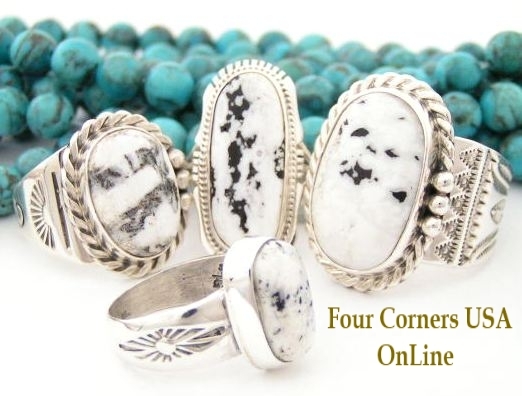 Our Native American Ring Collection for Men and Women is extensive and always evolving with One of a Kind Treasures and quality specialty Stones. 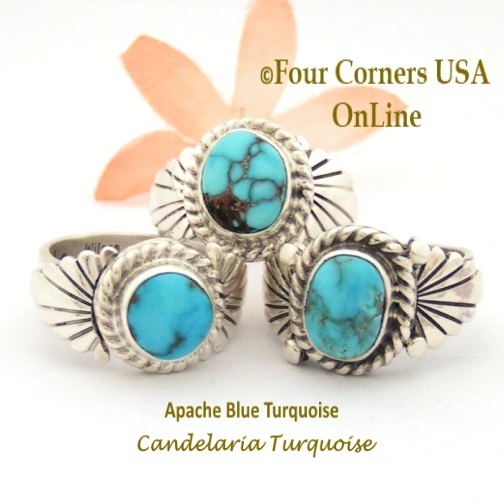 We carry a selection of Bridal Engagement Ring Sets and various Native American Wedding Rings including Inlay Rings and 14K Gold Sterling Silver Bands with various Native American Symbols often used as an alternative to traditional wedding rings, replacement wedding rings and Wedding Anniversary Gifts.